Watch Star Trek — Infinite Space's badass Intrepid-class starship take down a squadron of ships! It's a tough galaxy out there, so you need a ship that can dish out some pain when needed. That's why Gameforge's free-to-play browser game Star Trek — Infinite Space is preparing to roll out the mighty Intrepid-class starship. 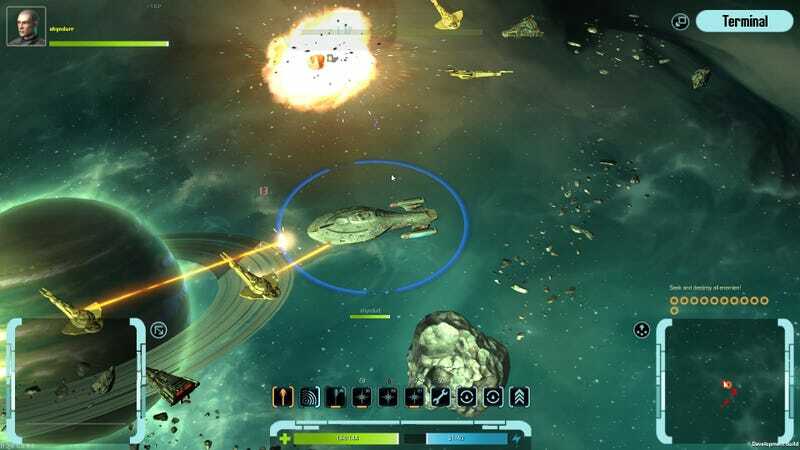 We've got an exclusive first look at some game screens for the Intrepid, which show the mighty starship taking out multiple enemies, fighting pirates, and generally owning the Delta Quadrant. 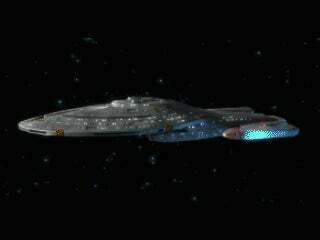 True, Star Trek: Voyager was not our favorite version of the Trek saga, but it is a pretty sweet ship, if you're out there alone in hostile territory. We previously showed you a K't'inga-class Klingon warship, and some basic Klingon language lessons. But this is probably the coolest thing we've gotten to show you from Star Trek — Infinite Space so far. Check out this fantastic video where an Intrepid-class starship leaves a starbase and goes into hostile territory, defeating a posse of space pirates and reaping the fantastic rewards in Dilithium. And here's a nifty animated GIF showing the Intrepid class ship from every possible angle! A tribute to the need of the Federation for an agile, fast and well-equipped vessel with the most modern exploration technology which gave birth to the Intrepid-class. The ship is well-suited to adapt to any situation it comes across.